Tribute delivered by Ruggles Ferguson on behalf of the OECS Bar Association at the Special Sitting of the Eastern Caribbean Supreme Court in Antigua on Monday, 25 March 2019 in honour of retired Justice of Appeal Albert Redhead who recently passed away. 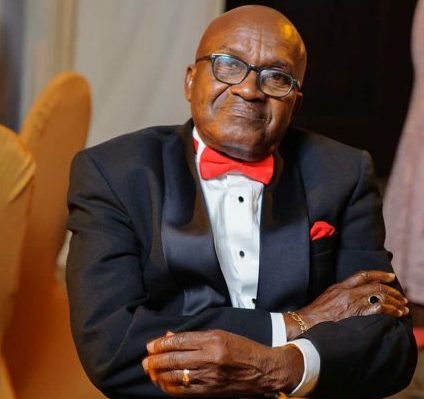 The OECS Bar mourns the loss and celebrates the life of retired Justice of Appeal Albert Redhead, who departed this life on 4 March 2019 after over 47 years of dedicated service to the legal profession. Since his admission to the Bar of England and Wales in 1971, Justice Redhead has served the legal profession with distinction. His solid foundation as Crown Counsel, Registrar, Magistrate and Director of Public Prosecutions prepared him in later life for high judicial office. For 12 years, 1985-1997, he served as a fearless and no-nonsense Judge of the Eastern Caribbean Supreme Court (ECSC). Not unexpectedly, he was elevated to the Court of Appeal in 1997 where he served until his retirement in 2003. With his boundless energy and drive, however, a quiet retirement was not possible, and for the next 13 years (until 2016) he was utilised for substantial periods as an acting High Court Judge, his last assignment being in Antigua. In total, Justice Redhead has served the ECSC for an impressive period spanning more than 31 years. A dedicated worker, passionate about the law, Justice Redhead was involved in many landmark decisions spanning several areas of the law including Criminal, Civil and Constitutional. One readily remembers his Court of Appeal decision in Raphael Donald & Ors v. Egmont Development (1999), a Grenadian case on the enforcement of restrictive covenants in the context of a Development Scheme; Elloy De Freitas v. The Permanent Secretary, Ministry of Agriculture, Fisheries, Lands and Housing, the Public Service Commission and The Attorney General (1993), an Antiguan case on the right of Public Officers to freedom of expression; and Cable & Wireless (Dominica) Ltd v Marpin Telecoms & Broadcasting Company (1999), a Dominican case also involving freedom of expression. Justice Redhead was never afraid to rule against the State, once the circumstances warranted it. True to his conscience, he was also never afraid to dissent from the views of the majority as was epitomised in the landmark consolidated constitutional case of Newton Spence & Peter Hughes v The Queen (2001) out of St Lucia and St Vincent, which held that the automatic imposition of the death penalty was unconstitutional. He respectfully differed from the powerful concurring Judgments of then Chief Justice, Sir Denis Byron, and then Justice of Appeal Adrian Saunders. A passionate and proud Grenadian, Redhead never forgot his roots where he obtained his primary and secondary education and served as a school teacher before migrating to England in 1960 to work and later study law. He adopted Antigua — where he holds the distinction of being the longest serving Judge (1985-1997), and where he met and married his inseparable partner and wife June — as his second home. Redhead’s dedicated life of service took him throughout the 9 islands of the OECS, and even beyond, to the continent of Africa, on a fact-finding assignment with the United Nations in 2008 affording him the opportunity to work in Nigeria, Gambia, Ghana and Senegal. The OECS Bar salutes this committed and patriotic son of the region who has contributed so much to the development of our jurisprudence. His legacy is embedded in scores of judgments written in his over 31 years of service. He aged gracefully, dressed elegantly and presented a picture of fitness carved out of his love for walking, swimming and gardening. The OECS Bar remains grateful for his contribution to and participation in our Continuing Legal Education Seminars designed to improve the quality of service rendered by the practitioners of the region. We extend deepest condolences to his wife June and to the rest of his immediate and extended family. Rest assured that his many positive memories will continue to live on.